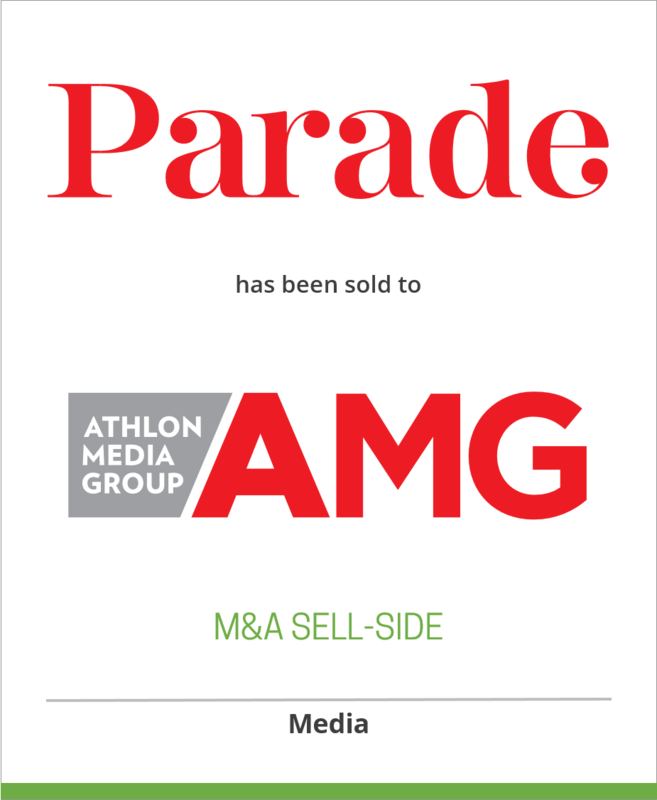 DeSilva+Phillips client, Parade Media Group, LLC, a subsidiary of Advance Publications, has sold Parade and Dash magazines with associated digital assets to Athlon Media Group (AMG). AMG’s stable of newspaper-distributed magazines, including American Profile, Relish, Spry Living and Athlon Sports, have a combined circulation reach of 38+ million via 1,600 newspapers. The move will add Parade, the largest-circulation magazine in the U.S. at 32 million households, and Dash, a food & family magazine with 8.8 million circulation, to the AMG portfolio. Parade.com and DashRecipes.com are also part of the acquisition. Parade magazine is distributed weekly by more than 700 newspapers, including The Atlanta Journal-Constitution, The Baltimore Sun, Boston Globe, Chicago Tribune, Dallas Morning News, The Los Angeles Times, The Miami Herald, New York Post, The Philadelphia Inquirer, The Minneapolis Star Tribune, San Francisco Chronicle, Seattle Times and The Washington Post. Dash magazine appears monthly in more than 150 newspapers. Both publications are distributed to predominately A&B county DMA’s. AMG also provides content to its newspaper partners via Athlon 360, a website available exclusively to AMG partners that includes food, sports, lifestyle columns, TV listings, weather forecasts, interactive sports and celebrative games. “We value our audience, and look forward to serving the 54 million readers and 30 million unique visitors loyal to the Parade and Dash brands,” Allen said. In addition to its newspaper-distributed magazines, AMG serves b2b and b2c clients, with 14 Special Interest publications (SIPs) distributed at over 40,000 newsstands and Athlon Sports Collectibles.